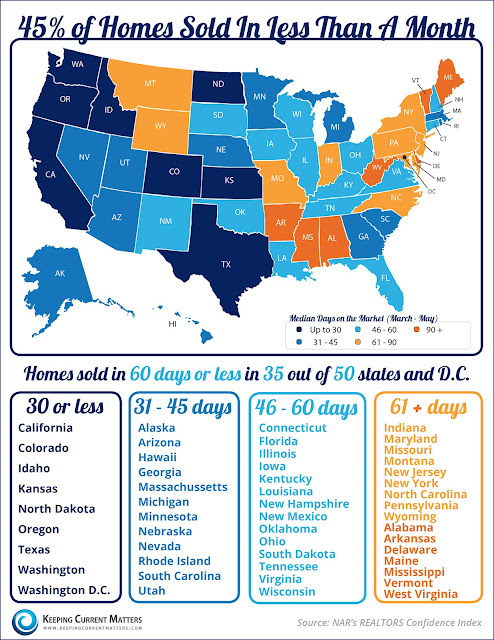 Houses & Homes VA: 45% of Homes Sold in Less Than A Month! 45% of Homes Sold in Less Than A Month! Homes sold in 60 days or less in 35 out of 50 states and Washington D.C.
Only 7 states had a median sold date longer than 90 days.